Performers include: Keith David, Lynn Whitfield, Lamman Rucker, Kim Hawthorne, Lovie Simone, Merle Dandridge, Desiree Ross, Deborah Joy Winans, Tye White, Oprah Winfrey, GregAlan Williams, Benjamin Patterson, Anna Diop, and Terri J. Vaughn. This dramatic series revolves around the unscrupulous world of the Greenleaf family and their sprawling Memphis megachurch. Scandalous secrets and lies are as numerous as the faithful. Born of the church, the Greenleaf family love and care for each other. However, beneath the surface lies a den of iniquity — greed, adultery, sibling rivalry, and conflicting values. This threatens to tear apart the very core of their faith that holds them together. The Calvary Fellowship World Ministries is headed by Bishop James Greenleaf (Keith David), a charismatic and manipulative leader. His wife, Lady Mae (Lynn Whitfield), stands by his side and is the matriarch of the church and their family. Jacob Greenleaf (Lamman Rucker) is a ne’er-do-well and the eldest son. He’s married to ambitious and controlling Kerissa (Kim Hawthorne) and they are parents to daughter Zora (Lovie Simone). Grace “Gigi” Greenleaf (Merle Dandridge) is the estranged middle daughter. She’s returned home after 20 years following the mysterious death of her sister, Faith. Grace’s teenage daughter is Sophia Greenleaf (Desiree Ross). The Bishop’s youngest daughter, Charity Greenleaf-Satterlee (Deborah Joy Winans), is the church’s Minister of Music. She’s married to Kevin Satterlee (Tye White). The owner of a blues club, Mavis McCready (Oprah Winfrey) is Lady Mae’s sister and Grace’s close confidant. Robert “Mac” McCready (GregAlan Williams) is Lady Mae’s brother. Noah Kendall (Benjamin Patterson) is the estate manager of the Greenleaf mansion. He’s engaged to Isabel (Anna Diop), a teacher. Melisse (Terri J. Vaughn) is the estate’s chief housekeeper. What do you think? Do you like the Greenleaf TV show? Do you think it should be cancelled or renewed for another season? 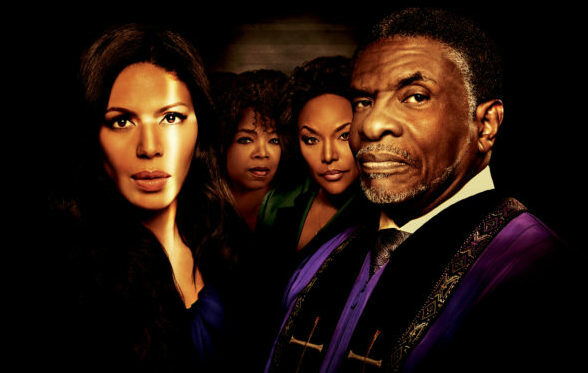 Greenleaf: Is the OWN TV Show Cancelled or Renewed for Season Three? When will Greenleaf return. It is a great show – please don’t cancel. Bring it back!!!!! Why mess up a good thing? It took took me a while to start watching the show but now IM hooked! Please bring it back.